ASHEVILLE, N.C. — Asheville-based conservation nonprofit, The American Chestnut Foundation, has received $600,000 in grants from the Colcom Foundation, Allegheny Foundation and an anonymous foundation. These funds, received through competitive processes, will support the restoration of the American chestnut tree. With these grants, TACF will develop methods to predict chestnut trees’ resistance to pathogens that cause chestnut blight and Phytophthora root rot. This method, genomic selection, will accelerate selection of the most disease resistant trees from TACF’s breeding program. The introduction of chestnut blight from Asia in the early 1900s reduced 4 billion American chestnut trees to root sprouts. Phytophthora root rot eradicated American chestnut from low elevation forests in the Southeastern piedmont prior to the introduction of chestnut blight. The demise of American chestnut significantly reduced the population of bear, turkey and pollinators in forests of the eastern U.S.
For more than 30 years, TACF has been breeding resistance into American chestnut from Chinese chestnut, which is resistant to these diseases. In TACF’s breeding program, the major bottleneck has been in screening the thousands of trees necessary to combine the right mixture of blight-resistance and American chestnut traits. The first step in assessing a tree’s resistance is to artificially inoculate it with the fungus that causes chestnut blight. After the most susceptible trees have been culled, additional selections are made by screening progeny of remaining trees for disease resistance. At current rates of seed production, it will take more than 30 years to complete selection with this method. Genomic selection will reduce the time to complete selection of disease resistant parents to five years at TACF’s research farms in Meadowview, Virginia. 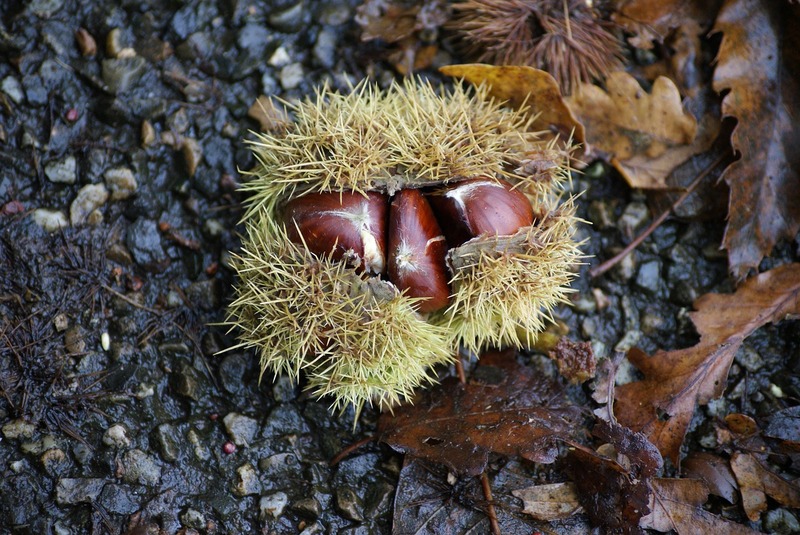 Genomic selection relies on cutting edge technology known as high quality reference genome sequences for American and Chinese chestnut species. Reference genome sequences pinpoint genes involved in disease resistance and lead to discovering why the Chinese and American chestnut species differ in their resistance to blight and root rot. Collaborators at Pennsylvania State University are assembling a reference genome sequence for Chinese chestnut. With this recently awarded funding, TACF collaborators at HudsonAlpha Institute for Biotechnology, a nonprofit genomics and genetics research institute in Huntsville, Alabama, will lead the effort to assemble a reference genome sequence for American chestnut. “If we can develop genomic tools to restore American chestnut, we can do this with almost any forest tree species imperiled by the introduction of invasive pathogens,” said Jeremy Schmutz, director of the American chestnut genome project at HudsonAlpha. “Restoring a species is a hopeful and ambitious undertaking. We are thankful these private family foundations have invested in a plan for reintroduction of a resistant American chestnut tree, once one of the most important hardwood trees in the eastern forests,” said TACF President and CEO Lisa Thomson. For more information about The American Chestnut Foundation, visit: www.acf.org.